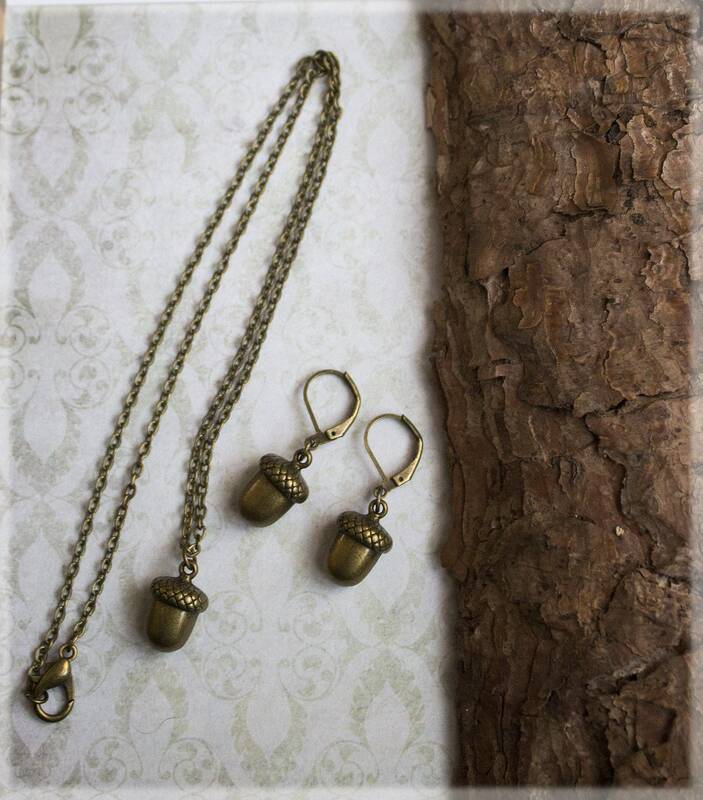 Enchanting antique bronze toned Acorn pendant necklace and matching earrings, hand crafted in my magical faery studio. 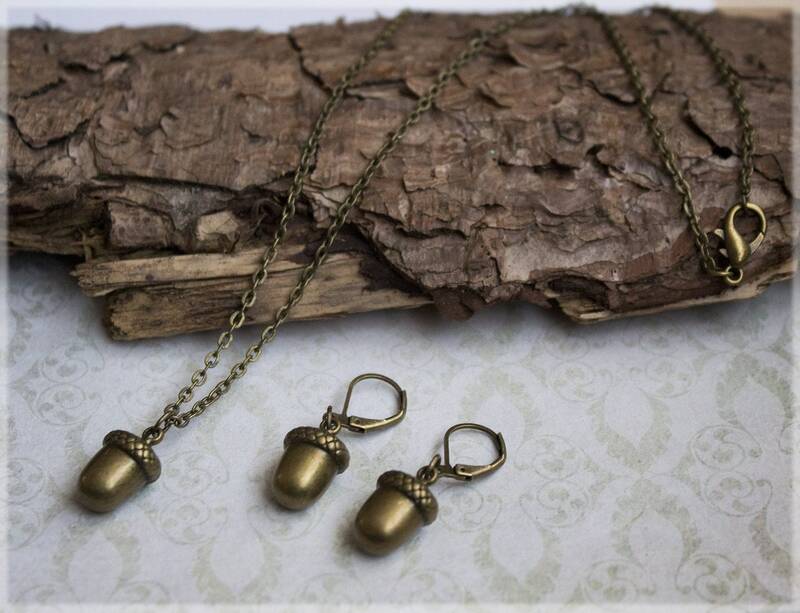 This magical acorn inspired necklace and earring jewelry set, features a beautiful antique bronze tone 3D acorn pendant and matching acorn charm earrings! 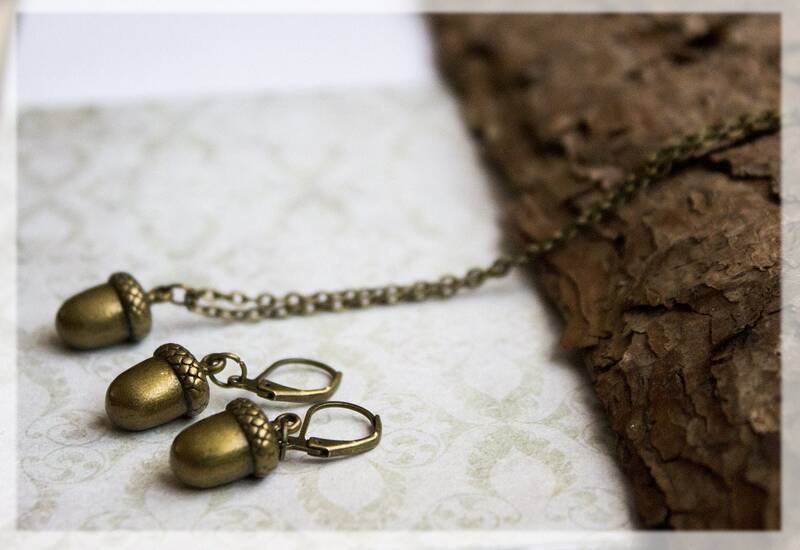 ~The necklace is made from antique bronze plated with a 12 mm Lobster Clasp. 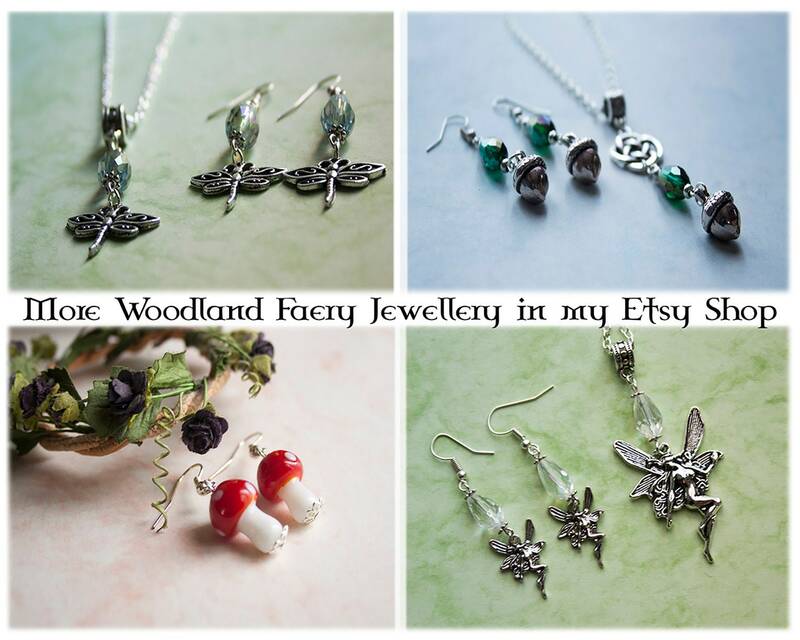 Total chain length (Approx) 18"